Read about this year’s event and see details of the winners of the competition. ARTarama is another Community and Fundraising event provided by the Rotary Club of Bishopdale Burnside. It is generally held every two years and is an opportunity to showcase the talent of Canterbury Artists and at the same time raise funds for Charity. 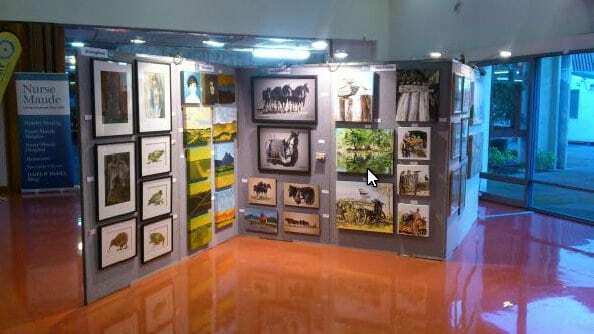 First held in 2010, ARTarama is a project that has been successfully adopted by both artists and the general public alike. Artists are invited to submit their work for judging in the ARTarama Competition and for display for the duration of the event. Held at St Andrews College on Papanui Road, Christchurch this three day event usually commences with a Friday evening function to launch the exhibition as well as to auction donated items including works of art. Those attending the evening function have a chance to preview the exhibition and pre-purchase artwork. During the course of the evening the results of the Art Competition are announced and awards given. On the Saturday and Sunday the exhibition is open to the public for a small entrance fee (proceeds going to charity). The Public has the ability to purchase their pieces of art work.